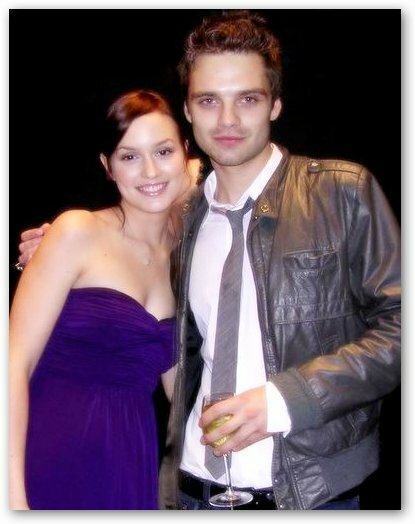 Leighton Meester is reportedly engaged to Sebastian Stan. The 22-year-old Gossip Girl actress met her boyfriend, a 25-year-old fellow actor, on the set of her hit TV show and have been dating for the past year. He played Carter Baizen in two episodes. In a Gossip Girl-like twist, the news of Leighton Meester's engagement to Stan leaked after she posted the update to her private Facebook page. Stan has had a limited acting career compared to Meester, appearing in movies like "The Covenant" and "Red Doors" and guest roles on TV shows like "Kings" and " Law & Order." Coincidentally, the two both got their start in Hollywood on the set of "Law & Order" although their appearances were four years apart.